Harvest: 3000 Years borders on documentary. 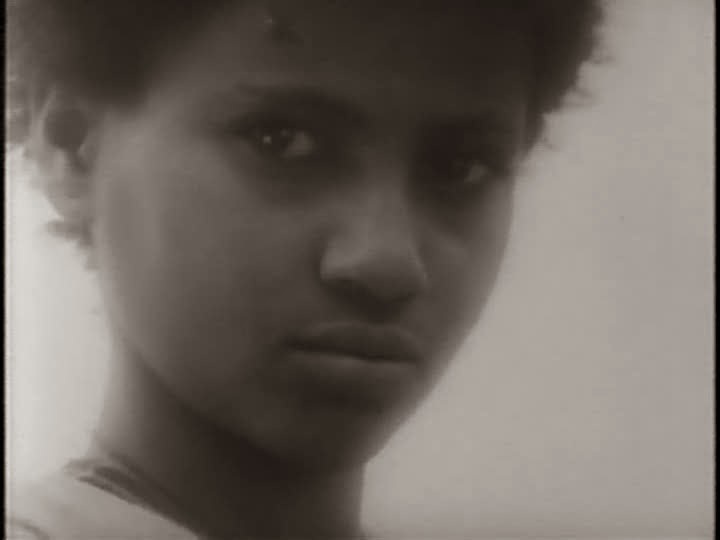 It begins leisurely with shots of a family going about their daily routine in the Ethiopian countryside. 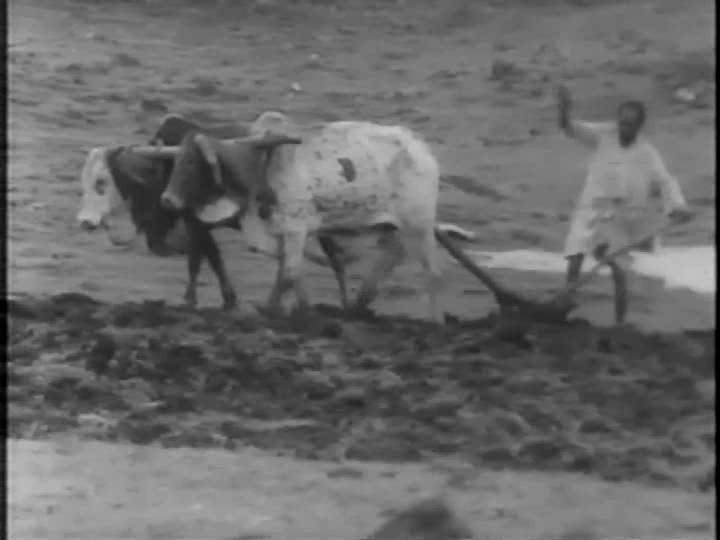 Their lives are structured around ceaseless toil: plowing fields, planting trees, cutting grass, carrying loads, shepherding cattle, washing clothes, grinding flour, etc. But we also see, occasionally, children at play, men bragging about happier days, women dreaming of better futures for their families and always the richness of the enduring land. A few stories slowly emerge from these scenes. There is Kebebe, a politically-minded 'madman' who talks to himself (or perhaps to us), describing the perfect home where he lives: fresh air, running water, wide open doors at the front and back. The camera zooms out to reveal he shelters under a bridge. Kebebe has an ongoing verbal vendetta with the local landlord, a lazy Western-clad despot who rarely rises from his front porch and then only to berate his silent sweating servants. Chief amongst these is Kentu, an obsequious underling whose family struggles to make ends meet. During a flood, Kentu's daughter drowns trying to rescue one of the master's cow, but callous and greedy as ever, the landlord only adds to their troubles by demanding an even larger share of the year's harvest. Kebebe snaps and beats him to death with a stick, leading to a police standoff around 'his' bridge. When the dust settles, the military seizes the harvest anyway, but the last shot implies that a new generation of active resistance may've been born from out of the incident. Harvest: 3000 Years is not an easy film. It's slow, long, shot on rather rickety 16mm black and white, and takes a distinctly abstract approach to storytelling. One has to keep in mind that director Haile Gerima shot the film in the tense interim of bloody military coups that took Ethiopia from a stagnant monarchy to an equally ineffective socialism, with the director successfully evading unwanted attention from either side. It is also one of the few African films I've seen willing to put its poetic sensibility ahead of purely narrative concerns, and the result is emotionally honest and moving even if, at times, confusing. 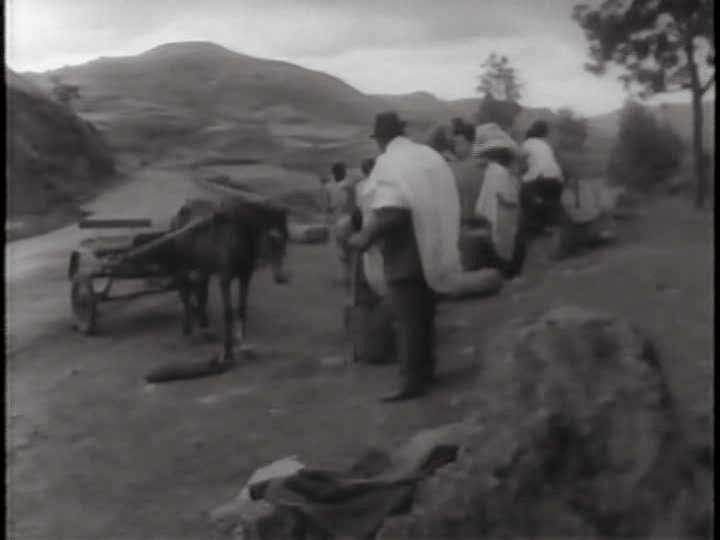 It is full of quiet moments where the camera tracks the rhythms of rural Ethiopian life, but its political agenda is never very far away. The children especially, through dreams and visions that portend a change, are beginning resist their lot, even to radicalize, a transition that Gerima situates as a natural consequence of the country's economic divide and low standard of living. And then there is the film's central mouthpiece, Kebebe, who has half-chosen half-been-forced-into insanity as the only sane thing to do in an insane world. His monologues, freestyle rants full of wily humor, sober truths and political lucidity, are some of the film's highlights and a stinging contrast to Harvest's predominantly silent observations. Gerima camerawork favors shooting from extreme distances leaving us with tiny figures on large canvases that emphasize the smallness of human endeavor and yet the universality of their struggle. He frequently uses long zooms where he can keep movement in frame by pivoting the camera using only slight nudges. These long shots are punctuated at a few rare but key points, including the start and end of the film, with extreme close-ups that literally put a human face on Africa's battle for independence, equality and the basic necessities of survival.